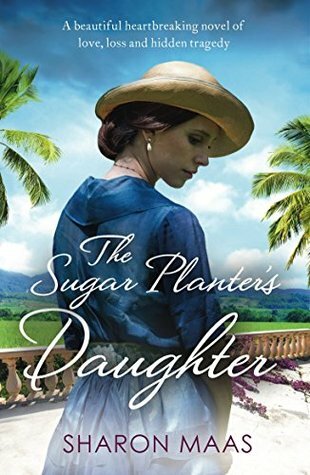 I'm embarrassed to say that this the first book by Sharon Maas that I have read - something I will be urgently rectifying now I've finished "The Sugar Planter's Daughter"! It's really exciting to discover a "new" author - particularly one with a great looking back catalogue. It seems this is actually the second book in a trilogy but it was completely accessible as a stand alone story and it did not affect any of my understanding or enjoyment because I hadn't read the previous sequel. I was attracted by the cover of this book-and the title too - it reminded me of a Dinah Jefferies novel, or some of the other titles which I am collecting on my kindle which are all set in historic, exotic places featuring "daughters". So what's the story about? Meet Winnie Cox, a white, privileged daughter living a life of luxury on her father's sugar plantation in Guiana, South America. She is about to marry the man of her dreams, George Quint; a black postman from the slums. When Winnie has to travel to seek medical help for her son, George is left behind. Yoyo, Winnie's sister, is fed up with living in her shadow playing second fiddle to her mother's favourite daughter. Full of resentment, Yoyo sets out to seek revenge against Winnie while she is away, laying the grounds for a trap which will have devastating consequences for them all. It's set in 1912 and therefore the dynamics between the two families are fascinating, as is the relationship between George and Winnie. It is not a period of history I know much about but there is always something compelling about people who transcended barriers and break with convention. Particularly as it is a woman choosing to marry not only for love, but choosing someone who is such a contrast to her own social standing and race. I thought this inversion of the woman being white and the man black, created a more original take on a story set within a plantation. The chapters alternate between Winnie, George, Yoyo and occasionally, Winnie's mother. Maas' use of multiple narrators is deftly handled to help us become more involved with Winnie and George as we are more privy to their thoughts and perspectives. I liked hearing so much from George as he grappled with bringing a white woman into his community and fiercely hoping love and dedication would protect them from outside danger. What was also compelling about this novel was how quickly I was transported to another time and place. I was so caught up in the exotic location- Maas' description of her character's actions, behaviours, dialogue so effective - that I got a shock every time I glanced up from the page and out the window at the dark rain clouds outside the window of my modern, gadget filled kitchen. This is a heartwarming saga of love, marriage and families. Winnie and George are so totally besotted with each other; so patient, understanding, thoughtful and kind to each other, they immediately gain the admiration of the reader. George says that "Winnie and I filled spaces in each other's souls" and even after some distressing arguments and overcoming various challenges, George comments on how desperately they need each other. Winnie knows the "real" him and they need each other in order to fulfil their own potential and recognise who they really are. At the beginning of the novel, I did feel a sense of foreboding as their relationship was so perfect I knew that it was surely going to be tested and wasn't quite sure how they would survive that. However, as Mama says, "We live in order to learn the lessons of love." George is a character of integrity, loyalty and morals. His empathy and constant consideration of how his wife might be coping with having to leave her huge, comfortable home and live with his parents in the slums is charming. Winnie is a character of great strength. Occasionally she imagines what might have happened had she followed in a more conventional path but she is not perturbed by her sudden need to learn to cook, clean and raise a family without any assistance or paid help. She is unfailingly positive and embraces the challenges. Conversely Yoyo has married more "appropriately" and is running the family business. She is married but unhappy and childless. She is almost the opposite to Winnie. She is a jealous and bitter woman who is manipulative and clever. Although not the main protagonist, Yoyo undergoes a real journey throughout the novel and although hard to like, she can rustle up some sympathy from the reader as more of her past and present is revealed. But her role in the novel is well handled - powerlessly watching her orchestrate a monstrous plan creates so much tension and suspense, that it is difficult to read on without feeling slightly sick with nerves! This is a story about love, secrets, obsession, social conventions and pressure. There is laughter, happiness, strength and fortitude but there is also grief, helplessness and sadness. It's not a roller coaster ride of a novel, more a meandering along undulating countryside with some hidden and unexpected sharp corners. I liked the atmosphere, tone and pace of the novel and it very much suited the era and characters. And of course, the uplifting message about love - when genuine and truthful - really is able to heal, help and rebuild bridges. This is going to be a hit this summer and would be the perfect addition to any suitcase. Maas can certainly write a great tale, full of ups and downs, strong characters; evoking a moment in history effortlessly and authentically. 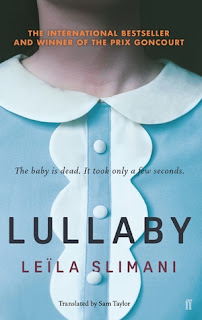 I would recommend it to fans of Dinah Jefferies, Katherine Webb, Kate Riordan and anyone who enjoys a saga where the lines between families are crossed, broken and tested. My thanks to NetGalley and the publishers for an advanced copy of this novel in return for a fair and honest review. For more recommendations and reviews please follow me on Twitter @katherinesunde3 (bibliomaniacUK) or sign up to receive future posts via email.